The famous Badke Quartet perform Haydn’s last completed string quartet and the wonderful quartet by English composer James Francis Brown – a London Chamber Music Society commission from 2010. Their programme finishes with one of Beethoven’s late great quartets, the Op. 132 quartet composed at the end of his life in 1825. The Aomori Quartet came together especially for 2012’s International Academy of String Quartets at Aldeburgh, studying for ten days with the Kopelman Quartet. 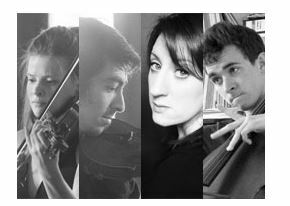 Since then, the quartet has enjoyed learning from many different musicians, including Christoph Richter as part of ECMA in Manchester, James Boyd as part of Chamber Studio at Kings Place, and more recently Susan Tomes at the Marryat Chamber Players concerts in Wimbledon. 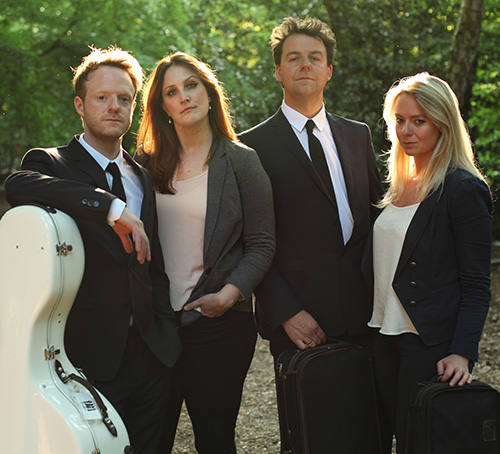 In 2013, the quartet performed at various concert series and festivals across the country, including at the RNCM Beethoven Festival, and at Magdalen College Oxford. Recently, the Aomori Quartet has enjoyed studying Bach’s Art of Fuguewith Prof. Laurence Dreyfus, with concerts to come programmed alongside Hadyn’s Op. 20 in A major. The Aomori Quartet are excited to precede tonight’s concert given by the Badke Quartet. Both Haydn and Beethoven successfully inherited contrapuntal writing skills, and took fugal writing, as so beautifully crafted by Bach in his Art of Fugue, through to the next generation.